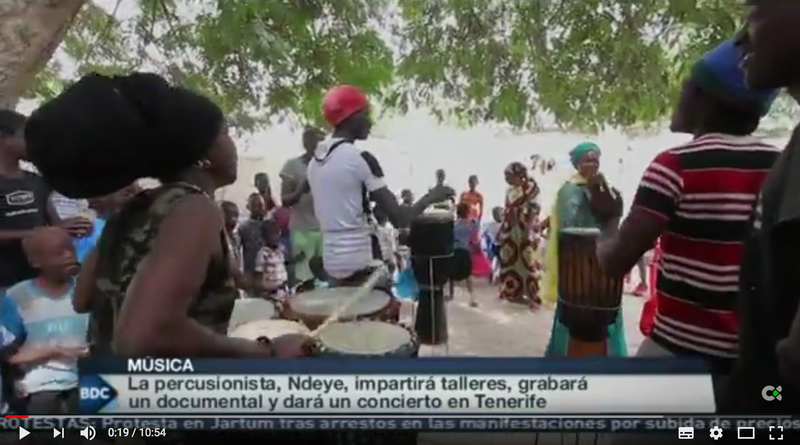 Some sequences shot in Thies (Senegal) last month on a sabar, a traditional party from West Africa, at Ndeye Seck’s home, screened at the programme Buenos Días Canarias. The images of the sabar will be part of the documentary “Percussions”, a production of La FET and Khaleebi Productions. We’re actually shooting some sequences for the documentary, which tells the story of three women percussionist thriving in a man’s world in Senegal, Cuba and Spain.